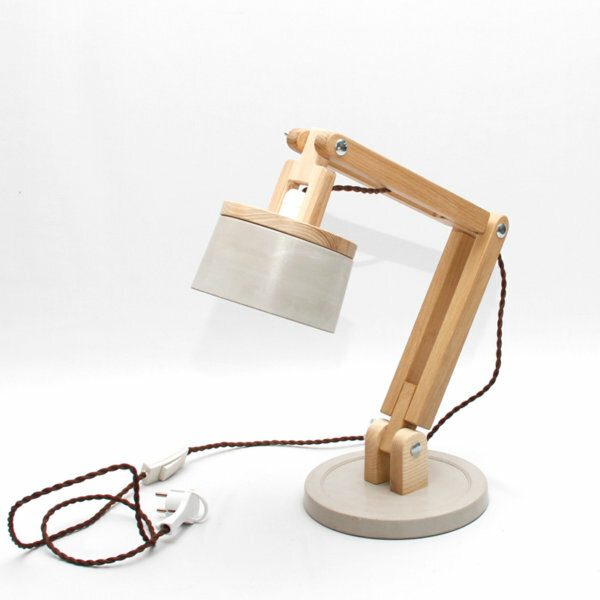 The ash wood table lamp is hand-made with utmost care and features a smooth finish with excellent grain pattern of wood sealed in. 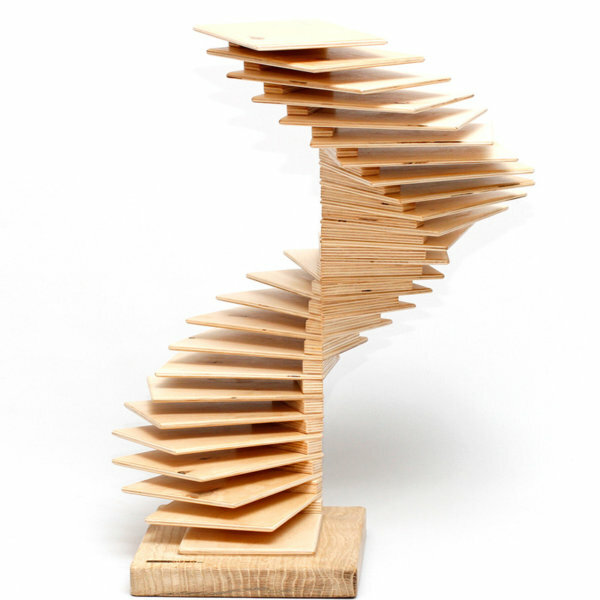 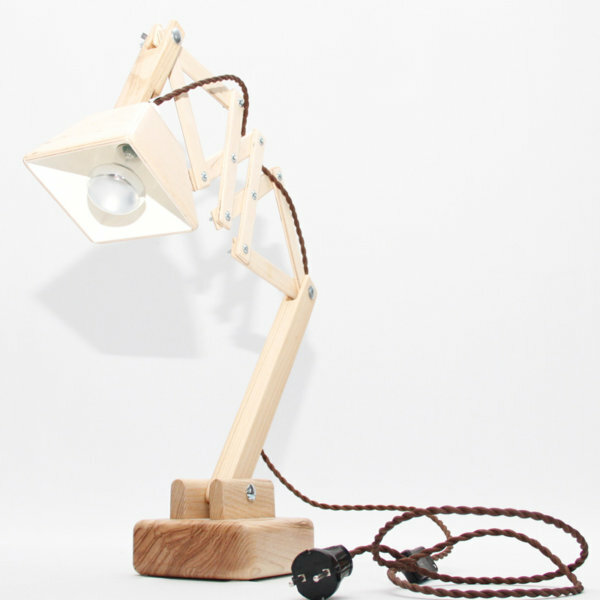 the design is simple yet striking, and captures the attention of the onlookers. 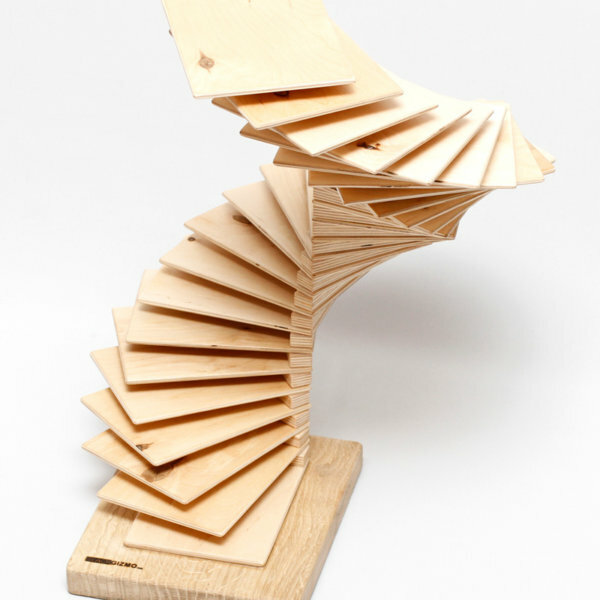 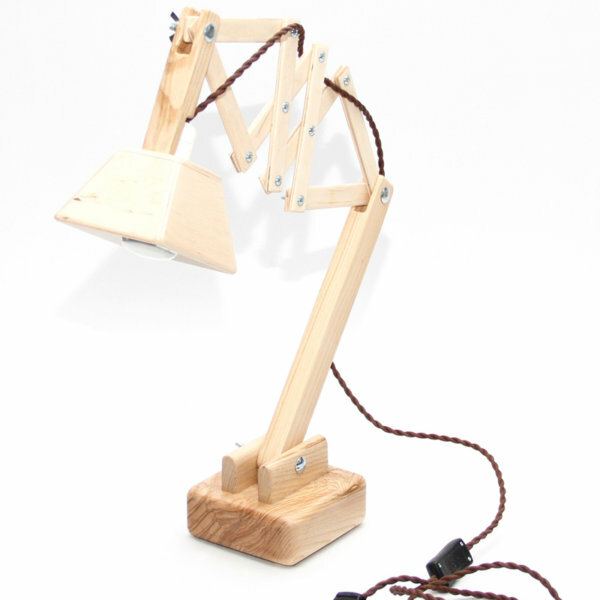 It can be used at home or office work desk, study table for reading, hobbies etc. 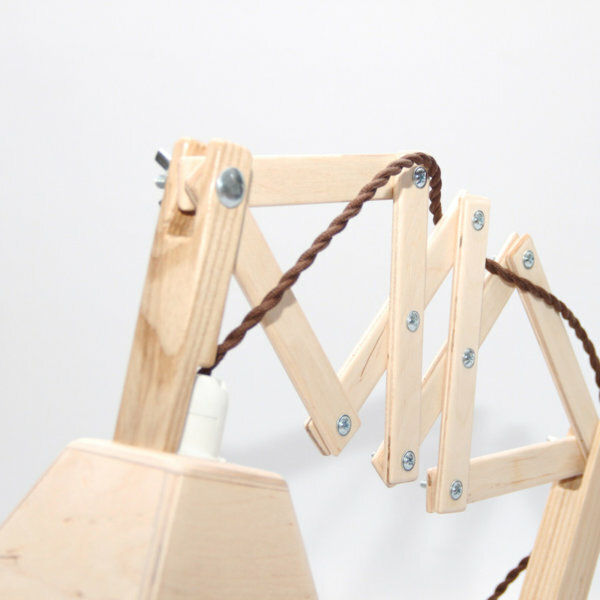 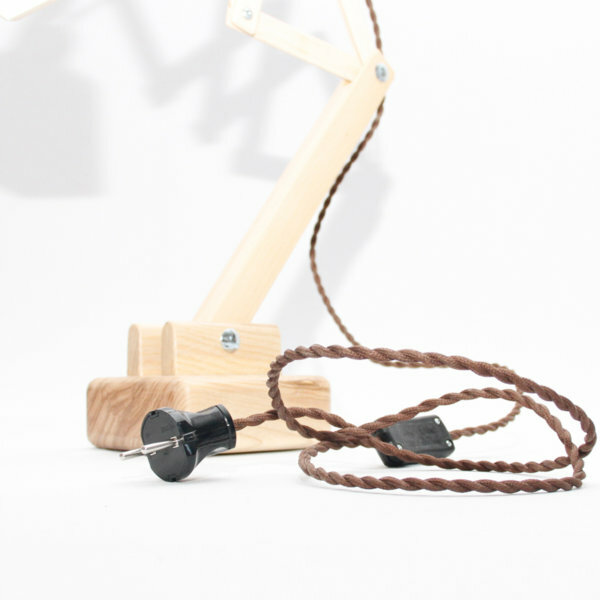 The Lamp features winding screws and fasteners on each of its adjustable joint, which can be fastened easily after loosening it and making necessary adjustments. 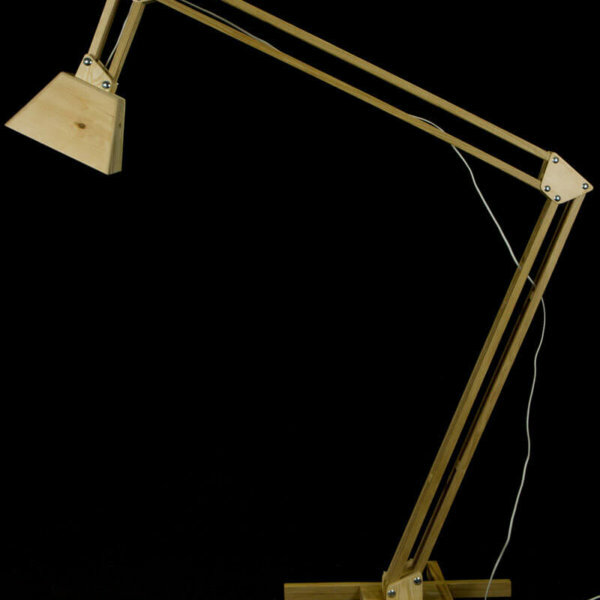 This also makes it easy to hold its position, once adjusted. 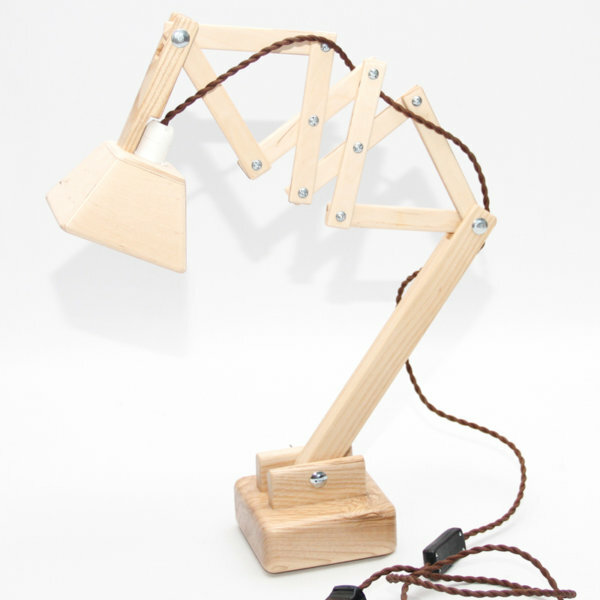 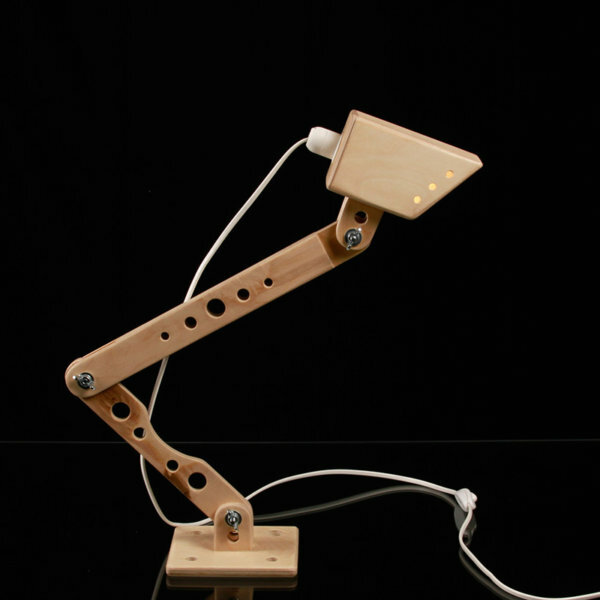 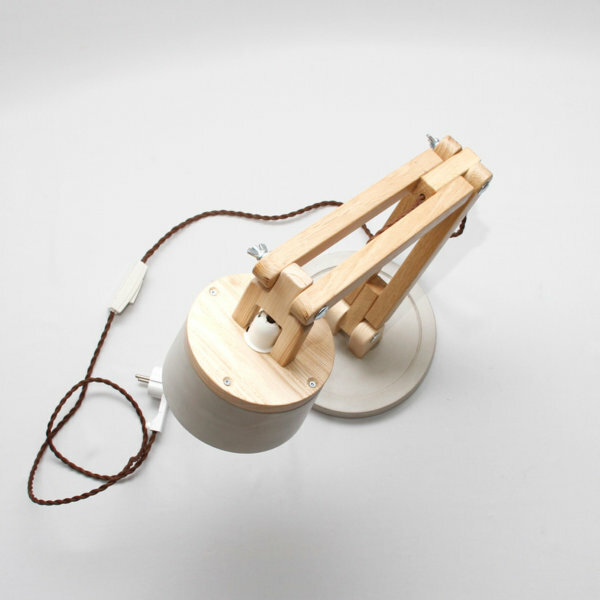 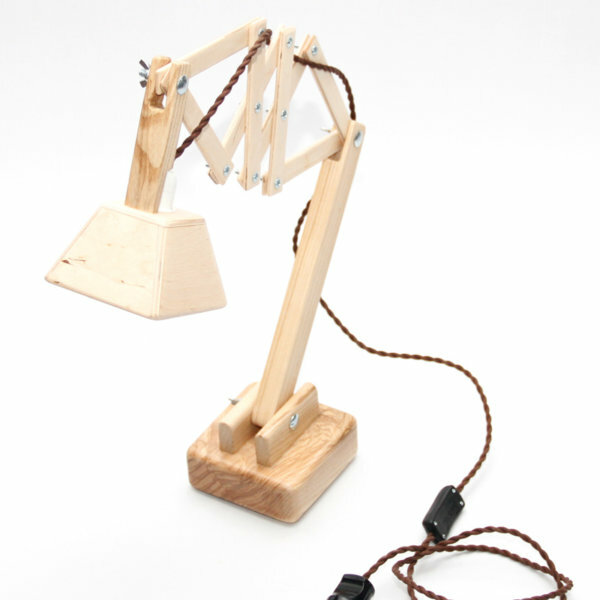 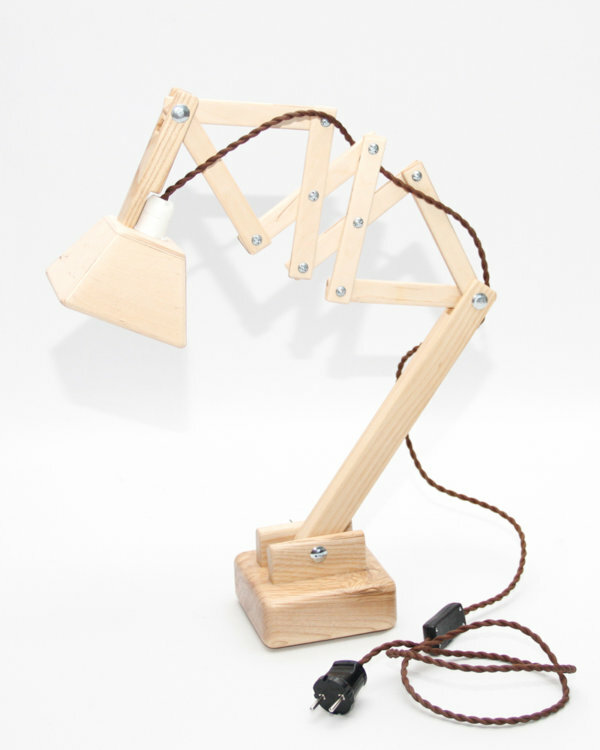 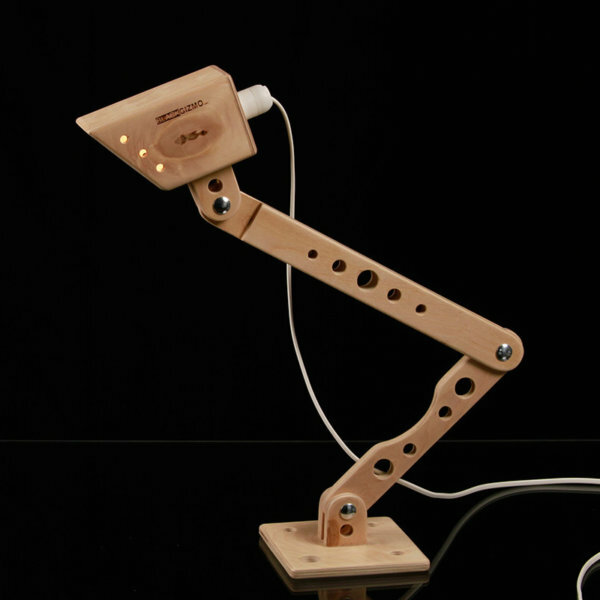 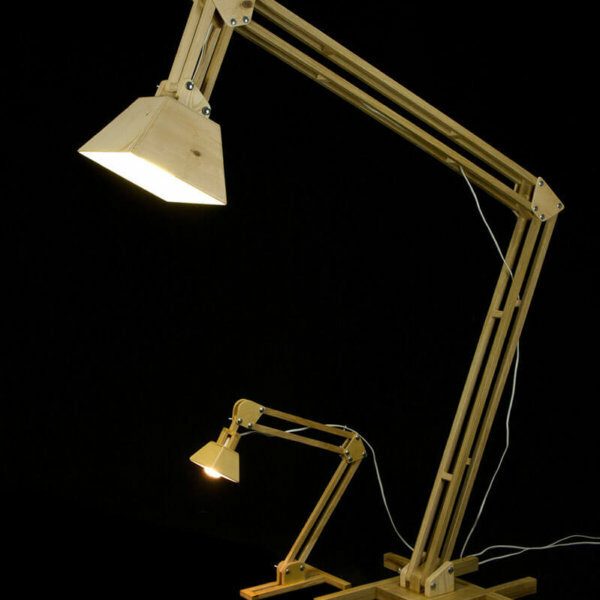 The lamp is 40cm x 45cm in a normal position and is powered through a Europlug.